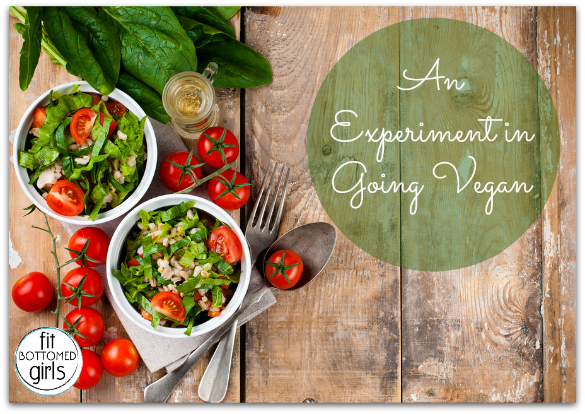 A year ago, I went vegetarian for a month-long experiment. And during that time, I came perhaps a touch close to going vegan—in that I didn’t feel totally okay with eating eggs and I avoided cheese. But I certainly didn’t try to not eat animal products in everything—heck, sometimes I had a hard enough time ordering a vegetarian option (I do live in the BBQ capital of the world—Kansas City), let alone a vegan one. And after my experiment, I did go back to eating meat regularly. In fact, these days I eat quite a bit of meat and protein, but I’m super picky about where it comes from. Well, I thought I was picky. That was until I popped the Vegucated documentary into my DVD player. In this funny yet at times graphic and disturbing documentary, Director Marisa Miller Wolfson follows three meat-and-cheese lovers—Ellen, Brian, and Tesla—as they take on the Vegucated challenge to nix all animal products for six weeks in an effort to lose weight and feel healthy. While you follow along with these three very different people, you also get a crash course in going vegan. From the hidden side of animal agriculture (let’s just say it’s more horrific than you think it is, even if you think it’s terrible) to how eating a fresher, less-processed diet can improve your health to how challenging it is for us to really making lasting changes (while shocked at what they learn, Ellen, Brian and Tesla all struggle with their new vegan lifestyle), it’s an educational film that will make you think twice before you order that steak or cheese-covered anything. 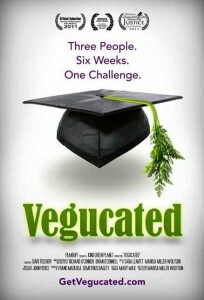 Vegucated is similar in content to Food, Inc., and although it is more hard-core vegan, it’s also funnier. While I couldn’t get the image of dead baby chickens out of my head after watching this, I’d still recommend it. When it comes to food, we should all be more cognizant of what we’re ingesting and where it comes from. At least I think so. I often wonder if the shock factor outweighs the message. I myself interested in what it would take to change my eating habits (I really dislike vegetables) sent away for a pamphlet on going veggie, but the pamphlet that arrived was so graphic, I threw it away. Maybe I just don’t “learn” that way. While I can see how this would shock many people into changing their eating habits, I couldn’t even look at the brochure long enough to read it. I have not seen this documentary, but I have no beef 😉 with eating beef. I think this is the biggest problems with western societies…the evidence if clearly there that changing your diet will benefit you in so so many ways yet ppl never think ‘it’ll happen to them’, until its too late. Yes its difficult to add new options to your diet but in the end its extremely worth it. Its just like cigarettes, everyone smoked bc it was the fad even when the research came out that theyre hazardous to your health. change must c ome from the top aka big businesses and government. I do find it fascinating what it takes for us to change our habits. After watching Supersize Me, I was completely grossed out by McDonald’s Chicken McNuggets–for about a month. Then I went back to them, because I think they taste good! In all honestly, I probably eat McDonald’s about 3 times a year–mostly on road trips–but I almost always order nuggets, even knowing where they come from and how they are made. To really make changes, you not only have to change your thought process (which documentaries like this help us do), but also practice the change in behavior for a long, long time. And it takes no time to slip back to old habits if you let yourself. I found that out after being really successfull on Weight Watchers and then going off program and gaining back some of that weight when I let my old eating habit creep back into my life! I am definitely going to check this movie out. I highly recommend watching “Forks over Knives” if you haven’t seen it. I bought a juicer the next day after watching it. I too am interested in seeing this documentary. I just completed a one month Vegan challenge in December. It was tough but also rewarding. I orginally decided to do so after watching “Forks Over Knives.” Vegucated may force me to do it again. I look forward to seeing it. If you get the chance, you can check out my vegan challenge here. http://healthyfitfamilies.com/2012/01/the-results-of-my-december-no-meat-challenge/ Thanks Jenn and the Fit Bottom Girls! I personally loved this movie. It taught me a lot about what it truly means to eat meat. It changed my outlook on a lot of what I am eating. I think that it should be completely up to the person whether he or she wants to eat meat or not – but this movie is definitely worth watching first before making that decision. Not only do I feel being a vegan is extremely beneficial to society, but it also can help an individual maintain a much healthier diet, as shown in the movie. I enjoyed how three random people were chosen and offered to try this path of being vegan. It really inspired me and contained a lot of interesting facts and moments throughout the movie.